Giving back is a great way for businesses to show their commitment to the community, and fundraising doesn’t have to be limited to passing an envelope or signing a pledge card. Fundraising for a good cause can boost office morale and enhance team building — all while having some good old-fashioned fun. Here are 20 ways to fundraise for nonprofits that your employees will love. “Jail the Boss” - Charge employees a certain amount of money to keep the boss “in jail” (and out of the office) for a specific amount of time. For example, $5 buys five minutes of “jail time,” while higher donations mean more time spent management-free. Boss for a Day - Pick a charity to raise money for over a given period of time. The top fundraiser earnings "boss for the day" duties, while the boss takes over a few of the employee's tasks in exchange. Get Sweaty - Do you have a larger office? Host a dodge ball or three-on-three basketball tournament, and give entrance fees to the charity of your office’s choice. This will also help develop team-building skills — just make sure the ground rules are clear to play fairly and safely. Genius Tip: Raise more money with a concession stand, and organize helpers with an online sign up. Embarrass the Boss - Set an office fundraising goal, and if your group meets it, have the boss show his or her appreciation in an embarrassing way. Options include: shaving his head, making her wear a rival sports team’s jersey or getting a pie in the face. Plan a Sleep-in Day - Let fundraisers who reach a specific mark come in a couple of hours late on a designated day. Add a special touch by providing breakfast. Keep Up the Momentum Over Time - If you’re fundraising for a longer period, keep the buzz going with weekly or monthly incentives. For example, the biggest donor this month gets a gift card to the local coffee shop — and next month’s highest donor gets movie passes. Host a Food or Book Drive - Instead of asking employees for money, have them bring in canned goods, books, gently used clothes or other items to donate directly to the charity of your choice. Genius Tip: Keep track of donations with an online sign up. Organize a Corporate Yard Sale - Take the donation idea a step further. As employees complete spring cleaning, ask them to bring in gently used clothing, toys, books, small appliances and more. Check with your landlord, and set up in the parking lot on a Saturday for a community event to raise money. Genius Tip: Organize yard sale helpers with an online sign up. Offer a Dress Down Day - This works best in offices with a business professional dress code. Tell everyone that people who donate a certain level will be allowed to wear jeans on a designated day (or give out “jeans stickers”, allowing them to wear jeans — with the sticker — on a day of their choosing. You could modify this if you work in a more casual environment. Buy Lunch for Donors - Order in and treat employees who donate. Make it a special affair with decorations that represent your cause and coordinating plates, napkins and utensils. Arrange a speaker who can give more information about the nonprofit. Sponsor a Table at an Event - Many nonprofits host galas, balls or other celebrations where you can donate by buying a plate or even a whole table. Bonus: employees will love the opportunity to get out of the office and network with other philanthropic-minded people in the community. Plan a Happy Hour for Donors - If you’re comfortable tossing back a drink or two with your employees, offer to pick up the tab at happy hour on a designated day to show your appreciation for those who help fundraise for your chosen organization. Sign Up for a Charity Race - Running (or even just walking) together on the weekend is a great way to get some exercise and fresh air while team building and raising money for a good cause. As the weather gets warmer, many charities will host runs and walks with varied distances, so find one that your company would like to support and sign up a team. 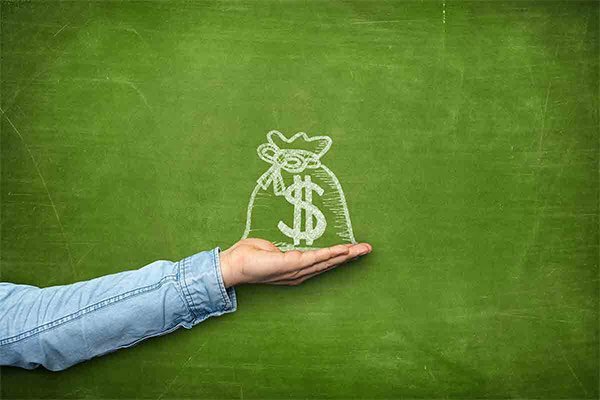 Set a goal for how much you’ll raise, and offer a company match. 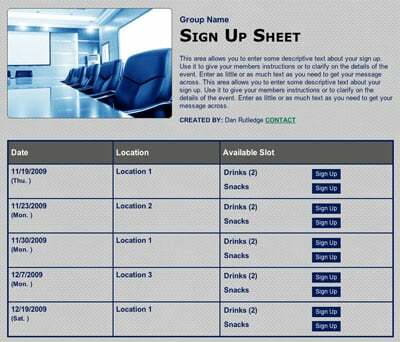 Genius Tip: Organize race volunteers with a sign up. Volunteer with the Nonprofit You’re Supporting - The best way to show employees their contribution matters is to let them see how the charity works first-hand. Speak to an organizer about having your team spend a weekday morning or afternoon volunteering together. Seek a Matching Donation from a Large Client - Poll your partners to see if anyone is willing to match your employees’ donations. It will strengthen your relationship with the client and provide a bigger chunk of change for your cause. Host a Cook-off - Let employees show off their secret family recipes with a cook-off where you can charge fees for entrants and “eaters only.” You could go traditional with a chili cook-off, solicit baked goods or go with a theme such as “Italian.” Of course, all proceeds will benefit the charity of your choosing. Host a Charity Raffle - Ask clients and employees to donate gift cards, services and other items for an auction that will benefit your chosen cause. Make it a big event or draw tickets at a company meeting to see who’s won. Genius Tip: Collect raffle donations with an online sign up. Hold a Chair Race - Host an executive “chair race” where department heads “race” through an obstacle course in their desk chairs and employees “bet” on the outcome. Keep in mind that this idea isn’t for every group, and safety gear like helmets and elbow pads is recommended! Plan a Parking Lot Car Wash - Ask department heads to wash employees’ cars in the parking lot for a donation. Proceeds benefit your chosen cause. Genius Tip: Plan car wash shifts with an online sign up. Raising money for a good cause will help engage employees and get them to work together. Plus, giving back feels good! 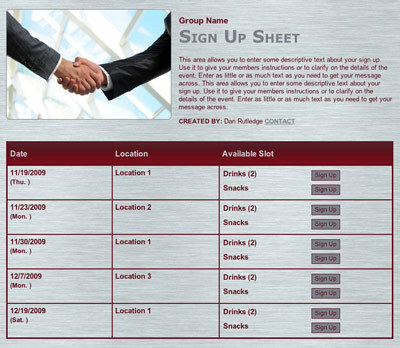 Plan a team-building event with an online sign up.